People are always trying to find methods for maintaining a youthful appearance. People search for natural ways to enhance the skin on their face, remove wrinkles and lift up sagging skin. Unfortunately, finding a remedy that does not involve using harmful chemicals or invasive procedures was difficult until today. We utilize the NovaThreads® technology to help patients receive a more youthful appearance and lift their skin. This is a non-surgical treatment that consists of components that do not cause harm to the body. This way, people are able to enhance their skin without extensive surgery or other treatment options that are ineffective. If you are searching for an effective and non-surgical method for lifting your skin, then NovaThreads® is the choice for you. In many cases, the effects from the threads can last up to a year. These treatments mainly benefit the lower and mid sections of the face. Since this treatment will provide a subtle lift, patients will be able to return to their daily routine after the treatment. With long-lasting results, the patient will be able to enjoy then changes instead of watching them fade quickly. Contrary to what people may believe about this process, the injection of the threads is fairly simple. With small barbs on the threads, they will attach to the sagging tissues in the face. This thread consists of a biodegradable polymer that the body will absorb over time. The injection is similar to the process for Botox® or dermal fillers. While the overall goal of this procedure is to lift the skin in the face, it actually harms the skin. The barbs cause minor irritation and injure the skin, which causes inflammation. The inflammation we cause the body to begin the natural healing process by producing more collagen. It is important to note the patient will only feel a slight soreness after the procedure that fades quickly. The threads will eventually dissolve into the body’s system. After the threads are gone the collagen will remain. The benefit of this procedure is that the collagen in the facial tissue is natural to the body. This treatment promotes the body’s natural development and production of collagen. There is no need to rely on separate collagen injections or options by selecting this treatment. We understand that people may have a few questions or concerns about this process. Thus, we are here to help by providing answers to common questions we hear on a regular basis. The length of time for the procedure will vary per patient. In many cases, the procedure will only take about 30 minutes. Many patients choose to schedule the appointment during their lunch break on a workday. Will I have to take the Day off for Recovery? In most cases, no. This choice is completely up to the patient, but there will only be minor swelling in the face following the procedure. This swelling will go down over time and cause little discomfort that is also temporary. Most patients begin to see results immediately after treatment and will continue to see them for several months after the initial procedure. After the threads dissolve, the patients will find the results remain for up to a year. 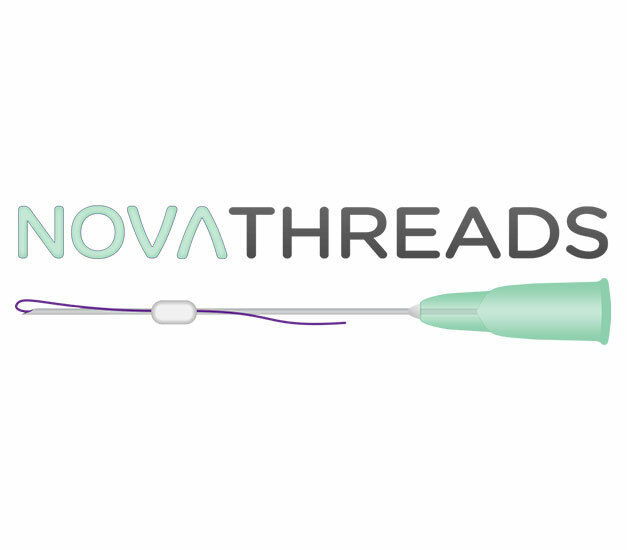 NovaThreads® consist of small threads with barbs that will attach to the tissue under the skin after injection. They will then cause minor inflammation that sets off the body’s natural reaction to produce more collagen. This will help to lift the skin and maintain the changes for longer than other products. What is the Criteria for this Treatment? Patients need to be in good health and not actively smoke. In some cases, the patient’s skin may require a more extensive surgical procedure than this treatment to see any change. We can conduct an examination to determine if the patient can receive this procedure. If you are interested in this treatment, give us a call to learn more today.